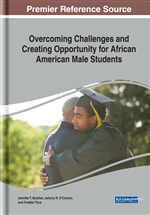 This qualitative study explores the experiences of 12 Black males who studied abroad as undergraduate students. This study was concerned with understanding the potential impact of study abroad on their personal, academic, and professional decisions. Findings are organized in three main sections: preparing to study abroad, life abroad, and returning home. This study revealed that Black males in the study had strong predispositions to study abroad and secured encouragement and support from a number of individuals and groups to study abroad. While abroad, students enhanced their sense of independence, were challenged to be critical and creative, and had opportunities to reflect upon several aspects of their own identity. Once students returned home, study abroad continued to have an influence on their lifestyle, career decisions, and commitment to actively participate in their community. The majority of research about students of color and study abroad has focused on identifying barriers associated with the lack of participation for this population in study abroad. Findings suggest barriers for participation range from financial concerns, fear of racism abroad, lack of family support, language competency, and information about study abroad opportunities (Consuelo-Clemens, 2002; Doan, 2002; Van Der Meid, 2003). Unfortunately, very few inquiries (i.e., Burkart, Hexter, & Thompson, 2001; Guerrero, 2006; Metzger, 2006; Salisbury, Paulsen, & Pascarella, 2011) have examined the experiences of students of color as participants in study abroad programs. As a result, colleges and universities have little knowledge about the impact of study abroad for this population, and continue to face many unknowns when attempting to promote internationalizing initiatives that truly engage all students (Salisbury, Paulsen, & Pascarella, 2011). On the other hand, within a small, but emerging body of literature focused on students of color abroad, promising findings have been noted, including linking study abroad participation to higher retention rates (Metzger, 2006), positive changes in self-image (Burkart, Hexter, & Thompson, 2001), reassurance of academic and professional goals, and positive attitudes about their roles in society (Guerrero, 2006). In addition, findings have suggested students of color who have studied abroad have developed stronger relationships with faculty (Lu, Reddick, Dean, & Pecero, 2015), and have increased community participation (Kuh, 2003). Short-Term Study Abroad: Study abroad program lasting eight weeks or less. Higher Education Internationalization: Programs and activities in higher education that increase cross-border activity and exchange of ideas, individuals, and resources. First-Generation Student: A first-generation college student is a student whose parent(s)/legal guardian(s) have not completed a bachelor's degree. Inter-Cultural Competence: The ability to communicate effectively and appropriately with people of other cultures. Semester Study Abroad: Study abroad program lasting an academic semester (4-6 months). Globalization: Increasingly complex and multifaceted interdependence of individuals, societies, and cultures leading to changes in economic, social, cultural, and political dimensions. Study Abroad: An academic arrangement by which students complete part of their degree program through educational activities outside the United States.